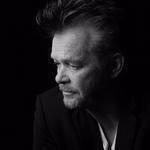 John Mellencamp To Embark On 2019 Tour - "The John Mellencamp Show"
New York, NY 9/13/2018 – Set to coincide with a highly anticipated new album release, John Mellencamp will embark on a 2019 tour of “The John Mellencamp Show” which will feature the rock icon’s classics plus some new material. Hailed by critics and fans alike as one of music’s most authentic and crowd pleasing concert performers, Mellencamp will begin the tour February 7th in his home state of Indiana at South Bend’s Morris Performing Arts Center and will span two months ending in Clearwater, Florida at the famed Ruth Eckerd Hall. Produced by AEG Presents, “The John Mellencamp Show” will start promptly at 8pm and will not have an opening act. Every ticket purchased online will receive a physical copy of Mellencamp’s forthcoming album “Other People’s Stuff” set for release on December 7th by Republic Records. Tickets for the tour will be available to the general public beginning Friday, September 21st at 10:00am local time. Pre sale and VIP tickets will be available beginning Wednesday, September 19th at 10:00am local time. For more information and all ticketing information please visit Mellencamp.com. *Public onsale 9/28 @11am - pre sale 9/26 @10am local time. Second the emotion, Presale went too fast but still have good seats and cannot wait to see what John does with OPS!!!! Yea Yea Yea Yea Yea Yea Yeahhhh! Posted by Aeroplane2 2018-09-26 23:54:42. Posted by Aeroplane2 2018-09-26 23:53:39. I saw John at the Aronoff in Cincinnati in 2015. Looking forward to seeing him again at the same venue!! Posted by paulaput8 2018-09-19 19:32:12. CANT WAIT got me 2 VIP front row tickets! SOO EXCITED I always take my favorite uncle who is SOO EXCITED thank god for presale!! YESSSSSSS!!! Posted by carrielees 2018-09-19 16:57:34. Posted by carrielees 2018-09-19 16:57:30. I was hoping to take my 7 year old to his first show, but can't do the 86 for Young Malcolm to join me this time. Hope you can play some outdoor sheds like Deer Creek / whatever they're calling it these days in Nobelsville Indiana. I've seen the John Mellencamp show there several times, including the ABC 4th of July show back in 92-93. This will mark my 12th time (at least) to see you John. 2nd time at the Palace. Can't wait! Front of the balcony sending love (and happiness) already. Posted by beltwaybrian 2018-09-19 15:37:13. Posted by Anaangela1 2018-09-18 13:47:04. Saw you at Farm Aid 1 in the pouring rain in Champaign and on the Scarecrow tour. Ecstatic to get the chance to see you again! Posted by Suelovesjohn 2018-09-17 22:28:12. Posted by Beth18 2018-09-17 22:10:24. Raised outside Seymour, IN in a small town of Houston! Stuck in Oklahoma now and so happy to see Tulsa on this tour! Plan on being there! Posted by Tuaddch1 2018-09-15 07:51:08.
can NOT wait.....i look forward to the new music and the tour in 2019...keep it real and rocking John! Posted by CMcMullen1172 2018-09-13 14:45:02. Come to The Classic Center in Athens, Georgia! Posted by MNorris149 2018-09-13 14:44:20.
well this just made my day...and year...woo hoo! Posted by veggievixen 2018-09-13 13:11:48.